Plateau United’s head coach, Kennedy Boboye has signed up to play in the Victor Ezeji testimonial. Boboye played in the Nigerian league before moving on to acquire his coaching badges and says the story of Nigerian league cannot be told without mentioning Victor Ezeji. The Port Harcourt born coach who played with Ezeji both at Sharks and Dolphins says with his contribution to the game in Nigeria, Ezeji deserves every honor that can be accorded him as he bows out with a final game. “He was someone who played and gave his best to the country, to the state and to the league in Nigeria as a whole. “So honoring him at a time like this should be done in a big way. “We are all happy that it is from a Port Harcourt boy. I am sure it is going to be a great one,” Boboye said. The Victor Ezeji Testimonial scheduled for the 17th of December will feature a Team NPFL squaring up against 'Friends of Victor' at the Yakubu Gowon Stadium in Port Harcourt. 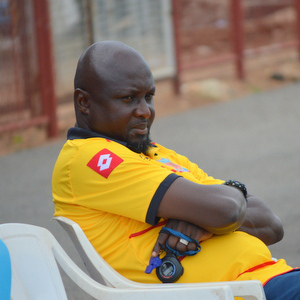 Coach of Enugu Rangers Imama Amapakabo who also played alongside Ezeji at Sharks had some weeks ago confirmed his willingness to play in the testimonial. Like Amapakabo, Boboye says it would also be an honour for him to be part of celebrating Ezeji and told VET media that he would be in town for the event. “Definitely I will be coming to play alongside him on the final day of his active career. Boboye recently took the reins at Plateau United following a break after he parted ways with Abia Warriors in the NPFL.